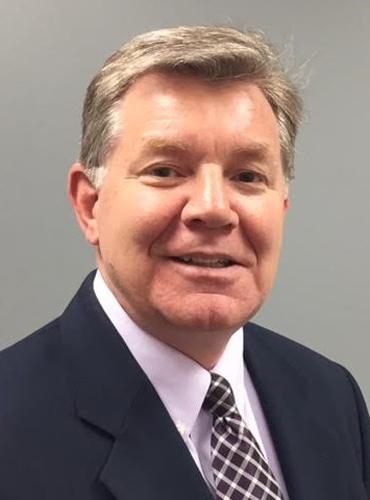 Michael J. Earl is a Senior Vice President responsible for GovTemps USA, a division of GovHR USA, focusing on temporary staffing for local governments nationwide. Mr. Earl’s experience as a local government manager and his extensive knowledge of local government operations has positioned him to be uniquely qualified to lead this growing practice. Mr. Earl has over 30 years of local government management experience working in five suburban communities in the Chicago metropolitan area. He spent most of his career with the Village of Wilmette where he served for 18 years first as Assistant Village Manager and then as its Village Manager from 2000-2008. Mr. Earl also worked as the Director of Human Resources in the City of Des Plaines, an organization of over 325 employees with six employee unions, and most recently as the Director of Community Services for the Village of Lake Zurich where he was responsible for the operations of Public Works and Building, Zoning and Planning. Mr. Earl has a passion for continuous improvement in local government. Some of Mr. Earl’s most notable accomplishments include: pursuing and implementing cost saving efficiencies through collaboration with other government agencies and vendors including a partnership agreement with Lake County, Illinois to provide plan review and inspection services resulting in an annual savings of over $100,000 (Lake Zurich); organizational training with a focus on customer service and employee and leadership development; personnel policy development and implementation; employee relations including negotiating several collective bargaining agreements; and working with local community groups on community building initiatives. Throughout his career, Mr. Earl has served in a number of leadership positions with various intergovernmental agencies and special purpose entities including service as President of Northeastern Illinois Public Safety Training Academy (NIPSTA), Chair of the Municipal Insurance Cooperative Agency (MICA), and Chair of the Strategic Plan Committee for the Intergovernmental Personnel Benefit Cooperative (IPBC). Mr. Earl is a Past President of the Illinois Association of the Metropolitan Managers and the Illinois Association of Municipal Management Assistants. Mr. Earl holds a Bachelor’s Degree and Master’s Degree in Public Administration both received from Northern Illinois University. He has attended leadership training at the Menninger Leadership Center and is a Senior Certified Professional through the Society of Human Resource Management (SHRM-SCP). He has also been trained as a mediator through the Center for Conflict Resolution in Chicago.